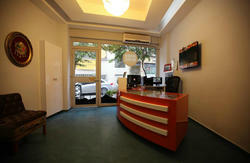 Newly renovated and redecorated for 2012, Istanbul Hostel is the place to stay in Istanbul. Istanbul Hostel is the first and only hostel in Turkey to be voted number one worldwide by Hostelworld.com for Apr, May and August 2006. 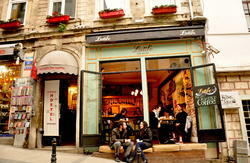 Istanbul Hostel is located in the historical old city of Istanbul. and within walking distance of all major attractions in the Old City and close to bus, train, ferry and tram links. 15 mins to Grand Bazaar and Spice (Eqyptian) Bazaar, 30 mins to Taksim and just 20 mins to Asian side by historical boat. Safety is a priority. We have security cameras at key locations and 24 hour reception. All bathrooms with 24 hour hot water, large waterfall shower heads, foam dispensers, hand driers and hair driers. Istanbul Hostel Istanbul has charming dorm rooms, equipped for a comfortable nights, bedding, orthopedic mattresses, overhead ceiling fans, central heating, free security lockers (bring your own padlock). Comfortable double (ensuite/ non ensuite) and twin rooms (non ensuite) have their own LCD TVS and security boxes. Our Panoramic Terrace Restaurant/Bar offers breathtaking views overlooking the Hagia Sophia,full of sea wiev,asian coast,bosphourus bridge and marmara sea islands. 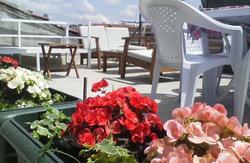 We serve a delicious Turkish breakfast on the terrace. We also have special price menu for hostel guests. We have several computers and free internet for our guests and also wireless internet connection throughout the hostel. So, you can connect to the internet with your own notebook or smartphone. We have a big screen television to watch cable tv to keep in touch with the world, watch movie channels and sports events. Cappadocia, Ephesus, Pamukkale tours, belly dancing show with dinner (Turkish night) and Turkish bath. 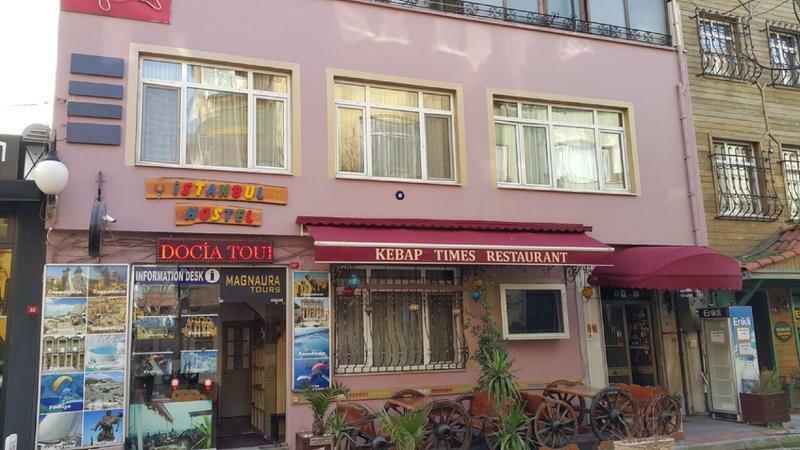 Our hostel is located near bus, tram and train transport.We also have pick and drop off service with shuttle bus for Ataturk and Sabiha gokcen airport. Our staff are honestly friendly and willing to help. We have a free travel advisory and know just what you need to have the best holiday ever! FREE Car and bike parking! FREE Clean sheets, duvet, duvet cover and pillow! FREE Card games, Backgammon, chess! FREE 24 hour heating and hot water! FREE City map and travel info! Go all the way through the courtyard and turn to your right at the end. Take the first left at the taxi stop and follow the street all the way down passing the Four Seasons Hotel on the left. The Istanbul Hostel is directly at the end of the street.